We can assist with providing a new home for your unwanted items. They say one person’s trash is another person’s treasure. We make it our business to make this a reality, finding homes for a lot of stuff that would otherwise end up as rubbish. Especially if something is too good to throw away, but you no longer need it – why not find it a new home where someone will make good use of it? Charities and community recycling initiatives not only provide second-hand goods affordably to those in need, but they also put the funds raised towards good causes and provide the community and individuals with an opportunity to recycle and reduce the amount of rubbish we send to landfills. Whether you’re having a general clean-out, getting rid of old, well-loved furniture, clothing, or household items, moving house, or winding up an estate, we can give you the peace of mind that your old stuff is getting a new lease of life rather than ending up at the dump. You can chose a charity close to your heart, or give us a call on 0800 DUMP ME and we can take your recyclables away along with any rubbish, sort them and recycle or redistribute them. We are a Greater Auckland rubbish removal service specialising in all kinds of waste disposal, and we work closely with various charities, such as Auckland Hospice, who are very appreciative of this service. This means we are able to repurpose a lot of people’s unwanted stuff that would otherwise get dumped. Some examples of charities that will gladly take your used items for rehoming are the Salvation Army, the Women’s Refuge (especially clothing and bedding in good condition), your local hospice shop, or community recycling centres. There are several Community Recycling Centres located around Auckland, in Waiuku, Waitakere, Devonport and Helensville. These accept items that can be reused, repurposed or recycled, such as furniture, whiteware, books, building materials and miscellaneous household items. These centres have shops where they sell items. They even accept garden waste, scrap metal and many other recyclable materials. Arts, crafts and DIY materials can be donated to WARC (West Auckland Resource Centre), which provides recycled materials to educational and community groups for various projects. 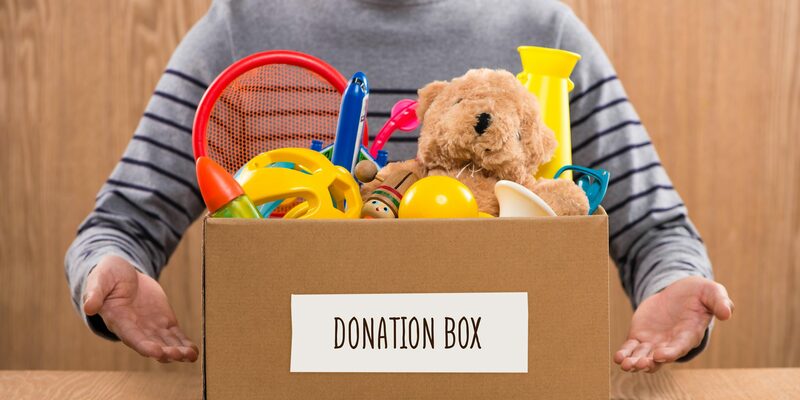 If you’re on the North Shore, you can donate similar items to the North Shore Resource Centre (see their website for a list of items that are accepted). Give us a call today on 0800 DUMP ME to arrange pick-up and delivery of your used goods to a local charity.